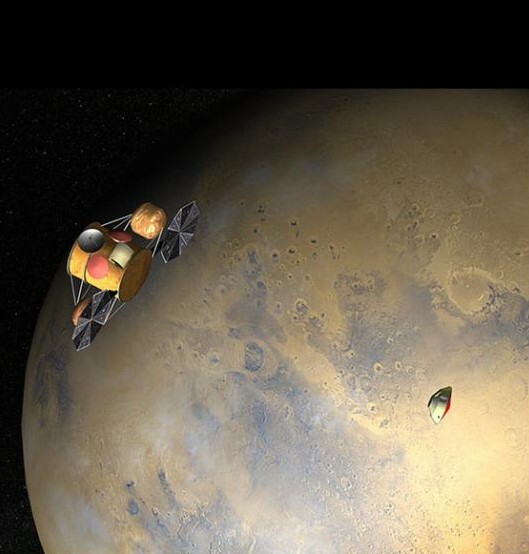 The international conference organized by CNES and ESA in July, in Paris, provided the occasion to air several scenarios for a future Mars sample return mission. The next step will decide who does what. “We achieved what we set out to do,” affirms planetologist Francis Rocard, in charge at CNES of organizing with ESA this 1st gathering devoted to a future Mars sample return mission. 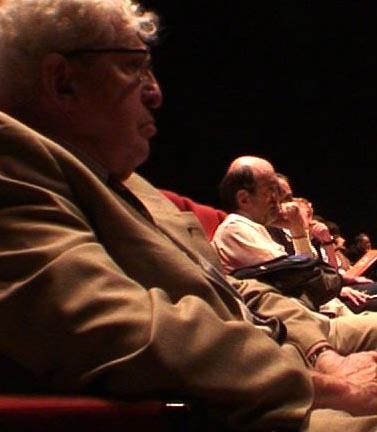 The conference was held in the auditorium of the Bibliothèque Nationale de France in Paris, with 150 to 200 scientists, industry representatives and politicians in attendance to review progress in planning an international mission. 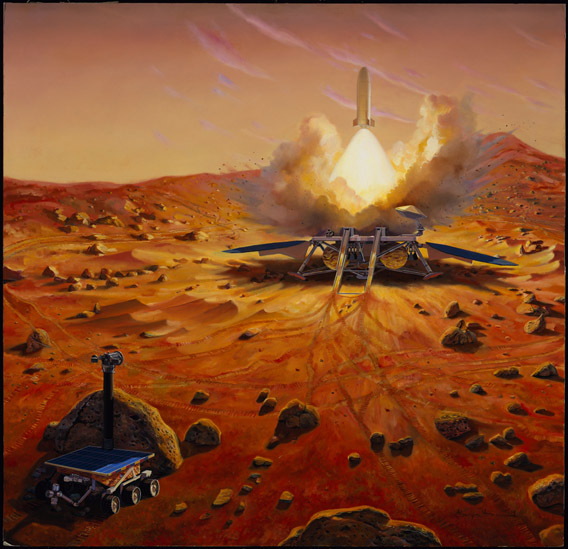 The Mars Sample Return mission could bring back samples from Mars within the 2020-2025 timeframe. Credits: ESA/Ill. 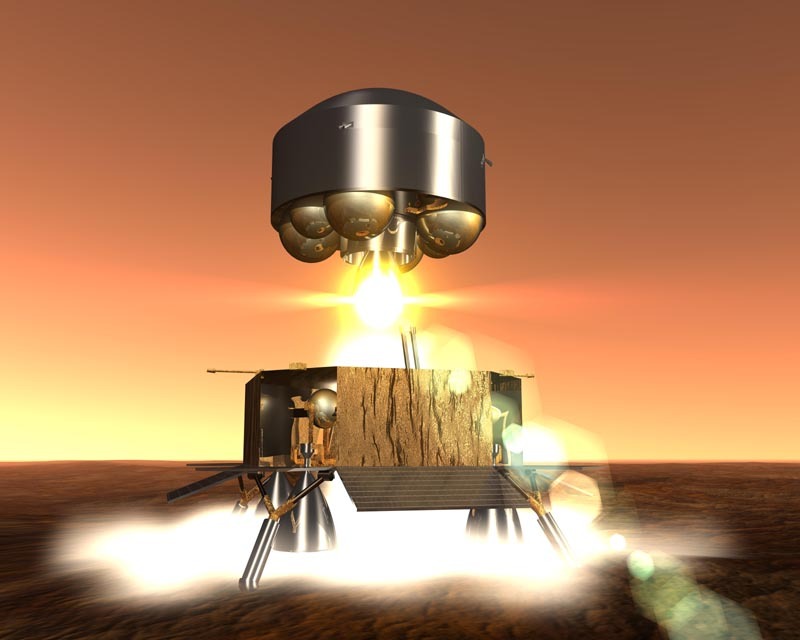 Mars Sample Return (MSR) could be launched around 2020 by ESA and NASA. Although discussions are chiefly between the big space powers for now, lower-level players are not being ruled out. “Representatives of the major space agencies were present in Paris, but anyone who wants to be involved in this adventure is welcome,” affirms Francis Rocard. At the conference, the iMARS group (International Mars Architecture for Return of Samples) presented the results of the last 6 months spent working on possible mission scenarios. A few hundred grams of Martian soil could therefore be arriving back here on Earth in 2023, requiring extreme precautions. The samples will first be quarantined in a sealed laboratory to ensure they pose no threat to life on Earth before being distributed to research laboratories.